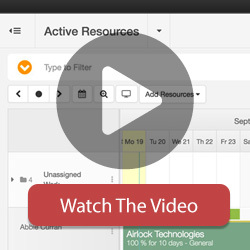 Resource Utilization is an important metric for any organization and one of Hub Planners most used templates. The report gives you an overview of how well your team is being utilized and scheduled over a date range. Each day has report data. If there is no report data then the day will still be shown with 0 booked / event time. i.e. 0% Utilized. Displays the amount of hours a resource is overbooked their capacity. Based on a resource availability, capacity and scheduled time we can calculate their utilization percentage. This is the daily capacity of a resource.